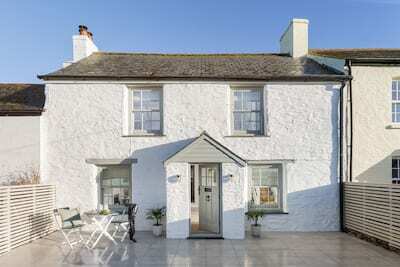 Follow the coastline south to the picture perfect setting of The Dairy, this once former farm outhouse has been beautifully converted to present a romantic retreat made for two. 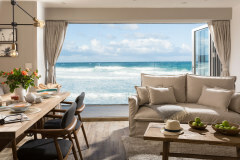 With a modern coastal twist think luxury and relaxation for your time out be it lazy autumn weekend, action packed Spring break or simply a week by the sea. The Dairy offers accommodation for 2 and is moments from the scenic town of St Mawes offering a fusion of nautical tradition with a more cosmopolitan vibe. 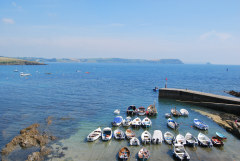 Walk to Portscatho from your holiday door and enjoy the coastal village life and beaches. The Dairy has been transformed from a forgotten 1930's barn to a super-stylish holiday home. The full height open plan living, dining and kitchen area has been carefully mapped out to encourage the relaxation of holiday life. Sink into the comfortable sofa with a favourite film or enjoy an overdue catch up with your nearest and dearest. The kitchen is fully fitted in a modern style, the budding chef in the party can get creative with some of Cornwall's finest ingredients including the freshest of fish caught locally. The indulgent double bedroom has been decked out in soft creams and oatmeal with crisp white linens to compliment whilst the solid oak flooring completes the country cottage ambiance. After the days coastal adventures then sink into a hot bath in the contemporary bathroom before heading out for a slap up supper Cornish style. The stable door leads out onto a sun trap paved courtyard offering stunning views across the fields, down the waters edge and away to St Mawes. To the side of The Dairy is a seating area with bistro style table and chairs perfectly placed for al fresco dining or a mornings coffee. A large communal field offers a spacious area to take in the view, guests are welcome to use this area. 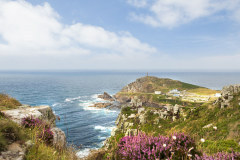 The Roseland has much to offer and includes some of Cornwall's most breathtaking coastal paths winding their way along the creeks and inlets and out to the iconic St Antony's Head with far reaching views to Falmouth and beyond. 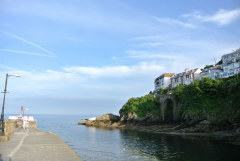 There are a number of places to dine out in the area from the quintessential country pubs to fine dining at the Tresanton Hotel, a picnic on the cliffs or quayside fish and chips you are well catered for. 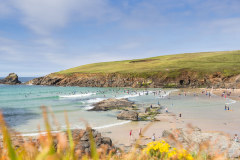 The area is popular with sailors the world over attracted to the sheltered waters of Carrick Roads, Percuil Sailing Club offer tuition or even try your hand at windsurfing perhaps? 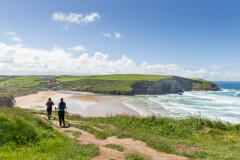 Cornwall's historic city of Truro is a short drive away or take a trip to the north or west coastline for their mile long golden beaches and coastal energy. From The Dairy, guests can walk into Portscatho in approx 20 minutes. Portscatho offers superb places to eat including Tatums Coffee on the quay and The Boathouse. The Hidden Hut is a fun place to visit and popular with locals and visitors alike, sit above the sands at Porthcurnick Beach and take in al fresco dining at its very best. There is a small beach at low tide at Portscatho quay and great for swimming at high tide! Porthcurnick Beach is also within walking distance. 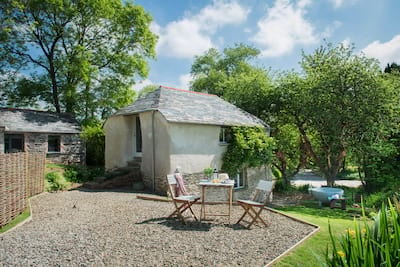 For larger parties The Cowshed adjoins The Dairy offering accommodation for up to 10 guests. The Dairy was a beautiful place to stay - small but perfectly formed. The views were stunning. Our first time in Cornwall a perfect quiet beautiful home. Fantastic accommodation so well equipped and comfortable. It is our perfect holiday retreat. I have never stayed in a property which is an exact replica of its advertisements. First class quality. Spotless. The Dairy is very quiet and comfortable and owner very friendly. The property was exactly as the website indicated which is very important and the service was brilliant. We loved the cottage and would definitely go again. A lovely stay, in a beautiful part of the world. All in all, fantastic service and a great property. Will definitely be back. This was our second visit to The Dairy - we enjoyed it even more than the first time. 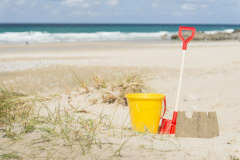 We are very impressed with the customer service you provide and having used other companies for our holidays in Cornwall. We believe that you really do stand out from those other companies. I found the staff a delight to liase with, professional but friendly and helpful. The welcome pack was a lovely surprise and treat and the location was stunning. The veranda and equipment although we didn't use it was a lovely idea. Excellent information about the area in the property which was really helpful. Overall great. We forgot to make an entry in Visitors book, but would like to echo most of the sentiments expressed. Lovely touch of welcome gift on arrival. Lovely property, in a lovely spot, and we thoroughly enjoyed ourselves. 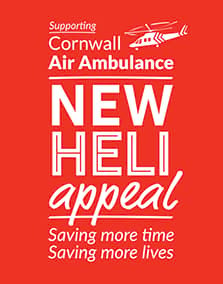 Cornish Gems seem to offer a very professional and efficient service. Will definitely consider using the company again. The location of the property and the view was excellent. Really nice to find good quality accommodation on The Roseland. So easy to use and wonderful service, could not have asked for more. The property and welcome was excellent as was the service from your company throughout. We had a delightful holiday. The website is first class and the booking process could not have been more straightforward. The personal service was greatly appreciated and the property lived up to the high expectations created by the presentation on the website in every respect. 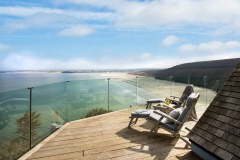 We have already recommended Cornish Gems to friends and will certainly be making further bookings in the future.